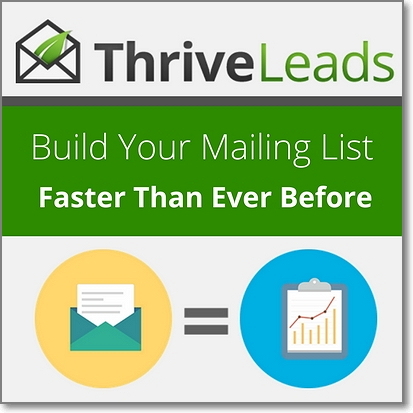 Thrive Leads is the tool I use across all our sites for collecting emails. This tool has taken my list building to an entirely new level. With Thrive Leads, every form is customizable, and you can create custom display rules for the forms as well. In short, it’s an extremely powerful plugin that can drastically improve email sign-ups for your business. Thrive Leads price starts from $67 for 1 site license and goes up to $147 for 15 licenses. For this price you get: full feature set, unlimited updates and one year support. Alternatively, you can choose Thrive Membership, which costs $19/month and will give you immediate access to ALL of their plugins and themes (including Thrive Leads). 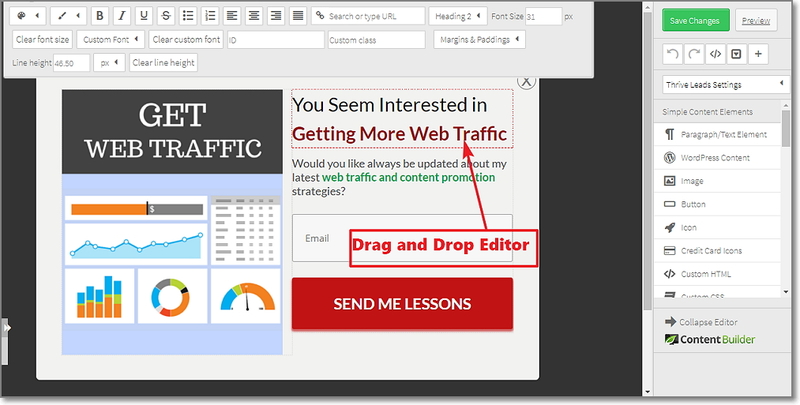 The Thrive Leads drag & drop builder is incredibly intuitive and offers maximum usability. Simply click, drag, and drop to customize your opt-in forms to your content. Thrive Leads comes with a reasonable amount of templates which have been tested to convert well across many sites. Have the designs match your brand colors, add image backgrounds, get horizontal or vertical opt-in forms, with one or multiple fields, alignment, text, and the list goes on… With the template library, Thrive Leads powerful drag-and-drop builder allows you to create limitless variations of forms that are truly your own. With Thrive Leads, you can set up a test between two or more variations of your forms in just minutes and then you can use our “automatic winner” feature to let the plugin do the rest. Thrive Leads lets you target optins to specific segments of your site. Get a massive conversion boost by showing relevant, highly targeted offers to your visitors based on posts, categories, tags and more. 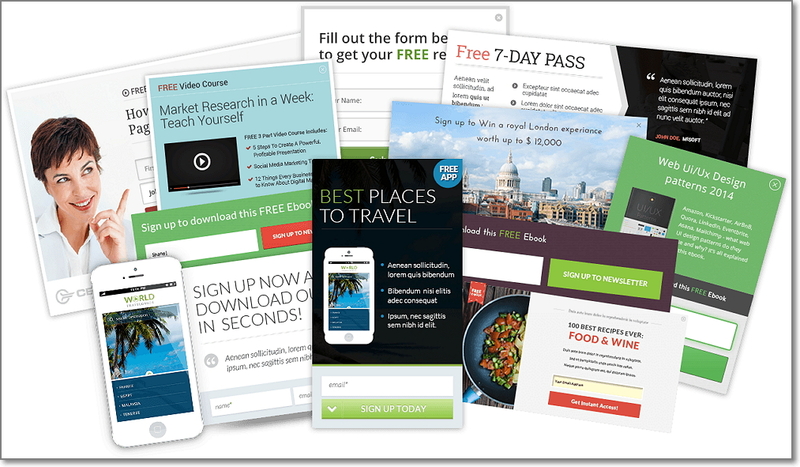 Thrive List is probably one of the most powerful email list building tools in the industry. It also has lots of helpful features, yet they manage to keep it simple and easy-to-use for everybody.